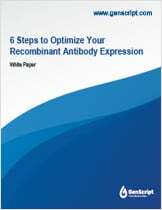 This white paper is a technical resource for scientists who are in the antibody engineering, therapeutics, and development areas of research and are working to optimize their system. What steps will you learn from this white paper? 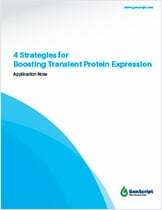 This application note is a free educational and technical resource for scientists in all biomedical disciplines who use proteins or antibodies in their research. What strategies will you learn from this application note? 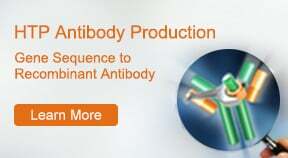 Antigen Production: Selecting the proper antigen is one of the most critical steps in a custom antibody project. See what the major factors that dictate antigen production are. IgM Antibody: IgM antibody characterized by the µ heavy chain, is the largest among all antibodies. It is generated as a B cell membrane bound monomer and a secreted pentamer. Learn about IgM role in disease. 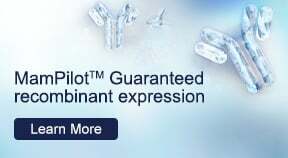 MBP Tag: MBP tag has been shown to enhance recombinant protein solubility. But what are the pros and cons of using the MBP tag? Microfluidics Cell Culture: Microfluidics technology is characterized by the manipulation of small volumes of fluids in channels with dimensions of tens of micrometers. See what the applications of this technology are. Bispecific Antibodies: Bispecific Antibodies (BsAbs) are antibodies that can simultaneously bind two separate and unique antigens (or different epitopes of the same antigen). They are playing an important role in cancer immunotherapy. 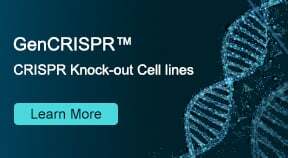 Learn more about this remarkable new therapeutic modality. Our customer service repsentatives are available 24 hours a day, Monday through Friday, to assist you.